This is a sponsored post written by me on behalf of Enfasmart. All opinions are 100% mine. If there’s one thing that can make my busy days just a bit more challenging, it’s a sick kid. When one of mine wakes up with a fever, all I want to do is crawl into bed with them and cuddle the rest of the day. But life has to go on (especially with more than one child) so finding the best thermometer for kids has been a huge help. I can give myself some peace of mind as I monitor a sick child while also getting things done. It’s all about confidence and balance. 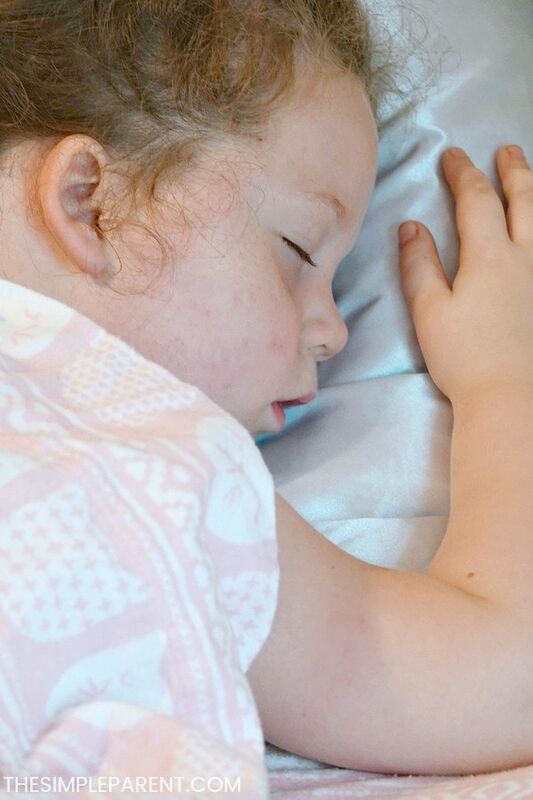 Being a mom for more than a few years means I have seen my fair share of sick kids. I like to think that I’ve learned to handle fever with a bit more grace than I did that first year or so, but I’m not so sure. There is just something about a fever that kicks me into protective mom mode. So when one of the kids spikes a fever, it makes it challenging to focus on anything else. Even once they’re comfortable on the couch watching a favorite show with plenty to drink. I still feel I need to stop and do a temperature check every few minutes. I guess that’s just the Mama Bear coming out! A recent addition to our medicine cabinet has made all the difference. Now sick days are just a bit easier for our busy family! 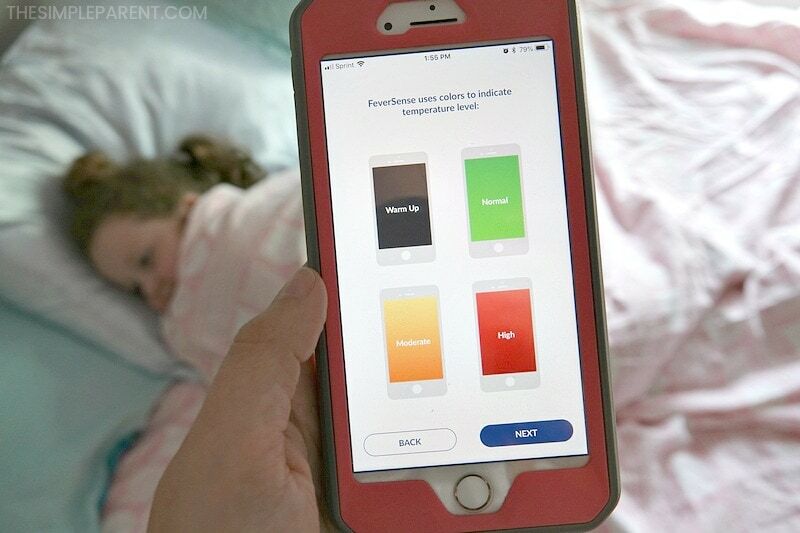 Enfasmart FeverSense is the best thermometer for kids! It combines convenience with the technology our lives depend on these days! There are three reasons that the Enfasmart FeverSense is the best thermometer for our family. They all come down to making life easier for us when fever is trying to dictate our day. 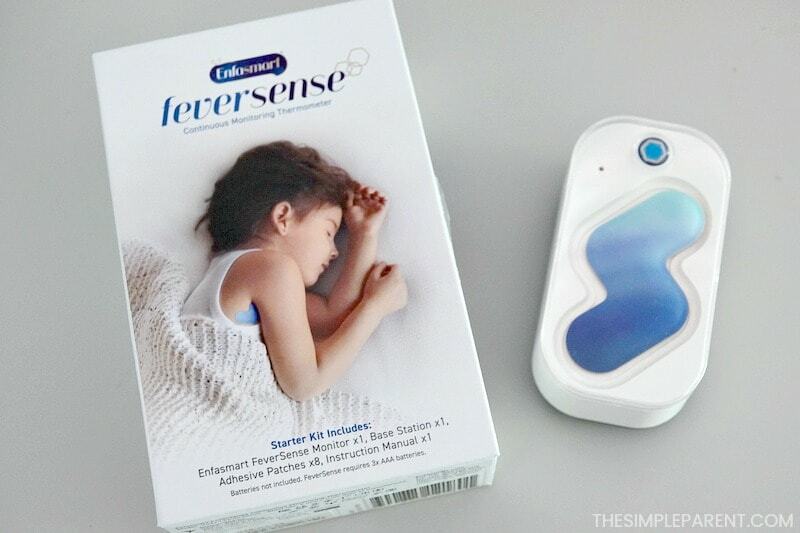 Enfasmart Feversense is a soft wearable thermometer that you apply directly on your child’s armpit. There’s no trying to get the thermometer placed correctly under the tongue (which has never worked well for us) and wondering about accuracy. When my kids aren’t feeling well the last thing they want me doing is bothering them repeatedly with whatever thermometer for kids I dig out of the cabinet. FeverSense is comfortable for them to wear so they can focus on resting and feeling better. When kids have a fever, parents get stressed out. I’ve seen it with all of our friends who have kids and have experienced it myself. One reason I am loving Enfasmart FeverSense is that it is so easy to use. In three easy steps, I was monitoring Carrigan’s temperature. Download the Enfasmart FeverSense app. Pair the monitor to your phone using Bluetooth. 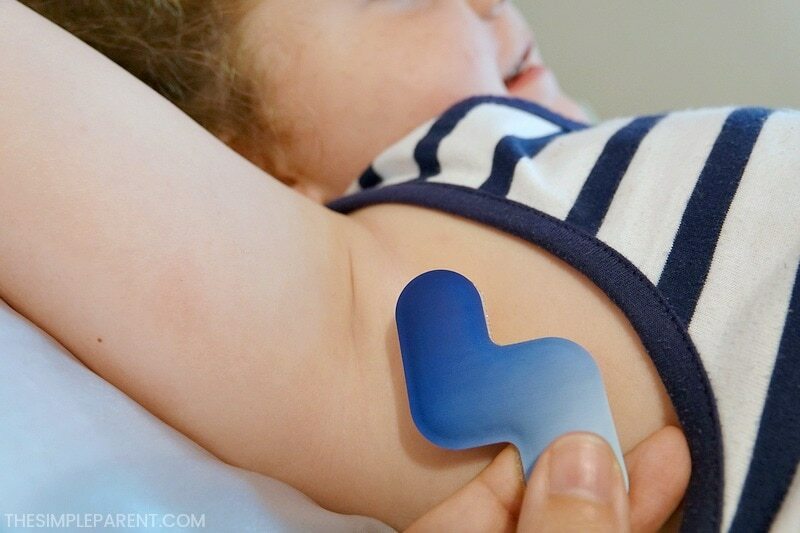 Attach the Monitor on your child’s armpit using the soft adhesive patch. The instruction manual comes with great step by step directions if you need help. 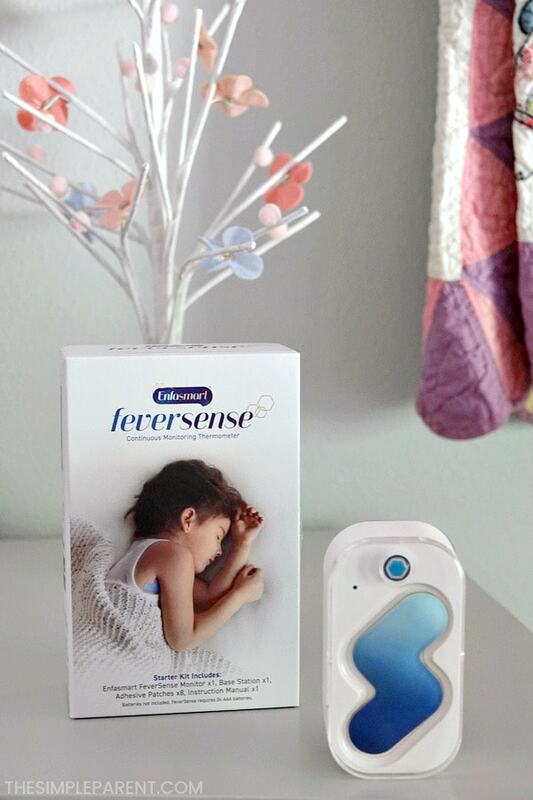 If you’re using your FeverSense for the first time, you will need (3) AAA batteries that are not included but the Monitor does come pre-charged so it’s quick and easy to start using it when your child has a fever! I think that Enfasmart FeverSense is the best thermometer for kids because it offers me peace of mind. 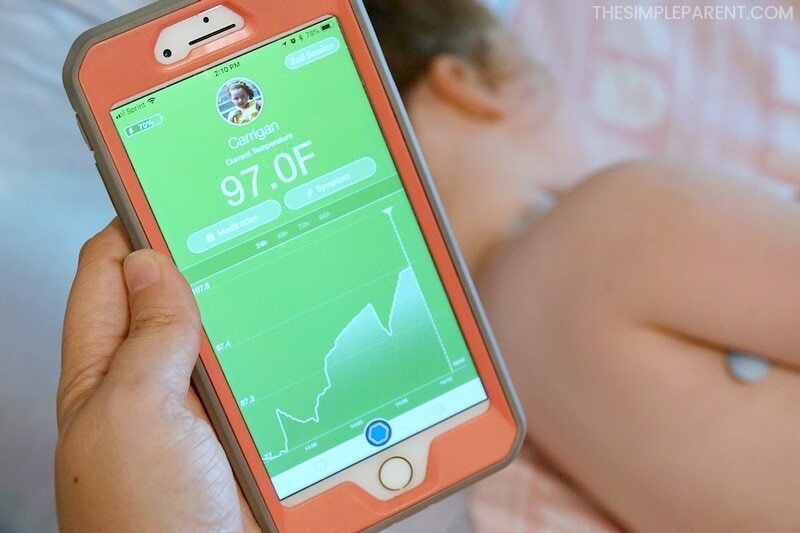 I can continually monitor my child’s temperature without needing to bother her. Using the app, I’m able to track the temperature over time on my phone. FeverSense even gives me some great visual temperature screens that let me know what range the fever is in so I can do what needs to be done. Getting alerts when there is a rise in temperature means I can take care of things that need to get done while knowing that I’m keeping track of the fever. It’s also great for the kids because I can get them comfortable and help keep them comfortable when they’re not feeling their best. It’s good for all of us. Oh, and the app also has great features that let me record the last time I gave medication and remind me when it’s time for another dose! 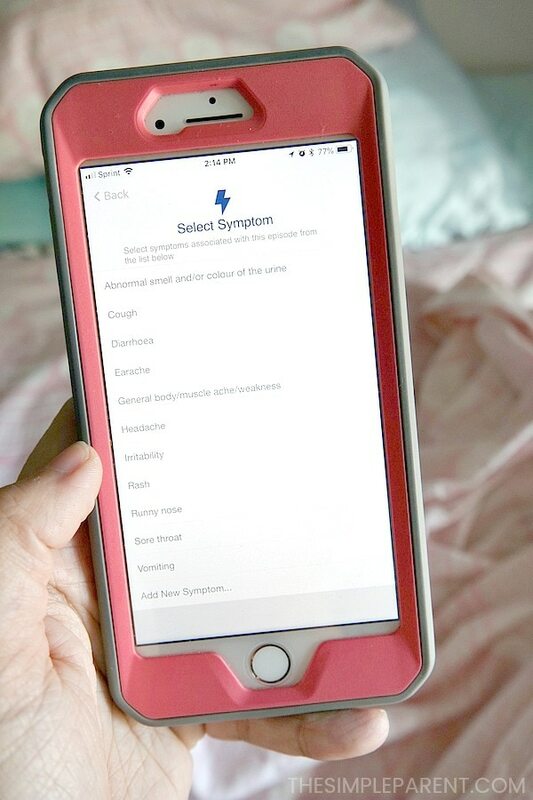 I can also record symptoms which means I don’t have to remember everything that has happened. I can record it and then look back if I need to let our doctor know what’s going on or if I just want to see if there is a pattern developing. If you’re looking to make sick days a bit less stressful in your home, I definitely recommend adding Enfasmart FeverSense to your medicine cabinet. Knowing you have a way to monitor your child using your phone offers a convenience factor that is great for busy families. It makes it less complicated to keep an eye on things and gives me more time to spend comforting my child when they’re under the weather! Learn more about FeverSense and how it could fit into your busy family life! « What Are Antibiotics & What Do Antibiotics Do?